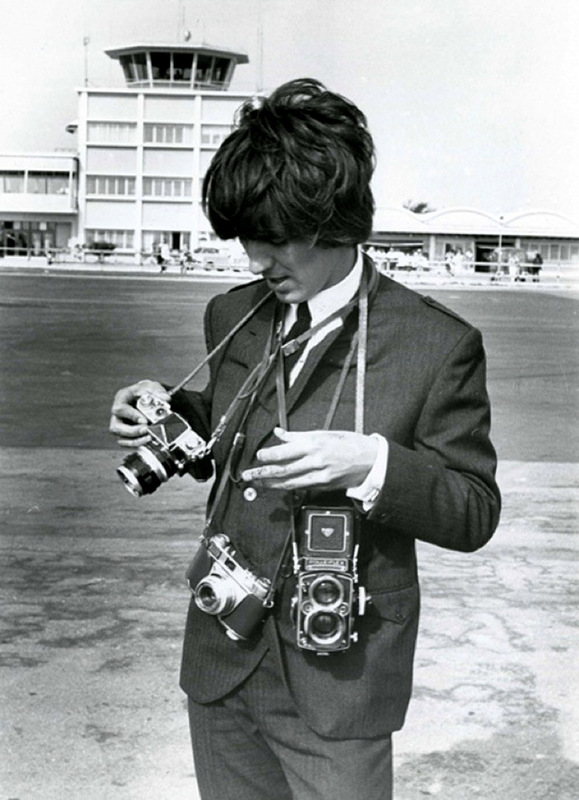 Lots of Rollei Cameras and Accessories, Free Worldwide Shipping !! 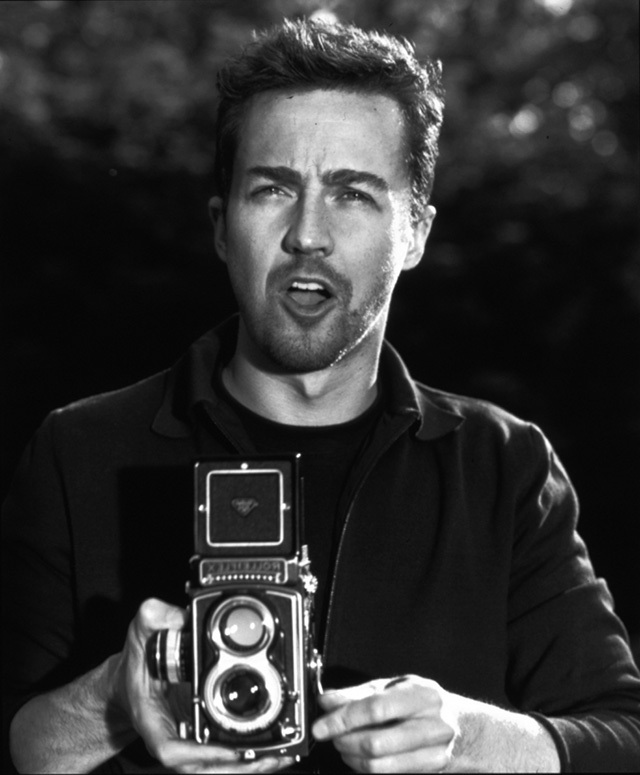 Shooting Film: Interesting Portraits of Celebrities with Rolleiflex TLR Cameras. Without any doubt was the introduction in 1929, of the first Rolleiflex Twin Lens Reflex (TLR), a sensation: an as ingenious as simple principle that quickly made the Rolleiflex THE must have professional camera all over the world. Producing high quality 6×6 cm square negatives in a compact very easy to operate camera, with the best lens available. 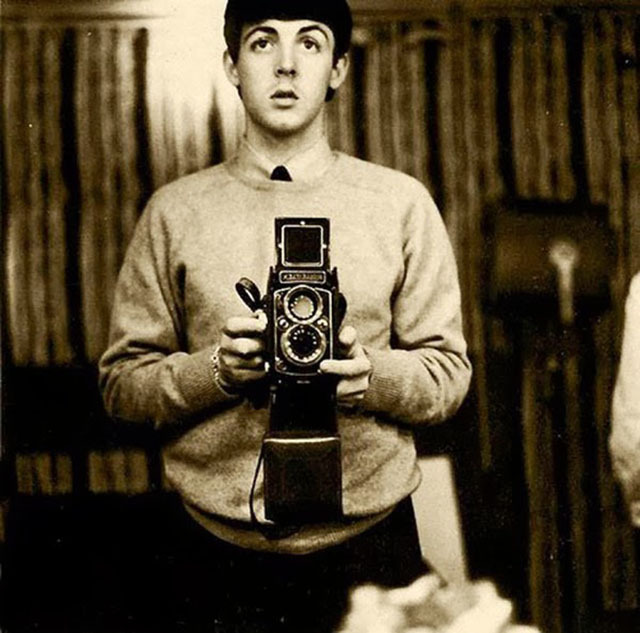 Ther was no photographer who would not master one, no apprentice who would not wish to own one. 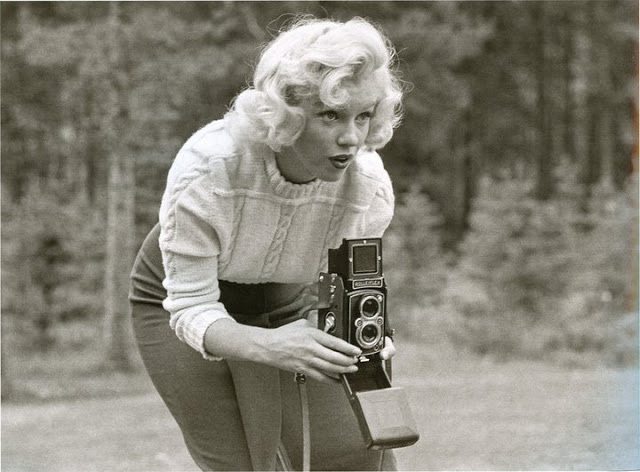 For the professional, the Rolleiflex was like a gift from heaven, it meant a radical change in his/her creative work. Being able to work fast with a large size negative, light weight and superior quality made the choice as simple as important. 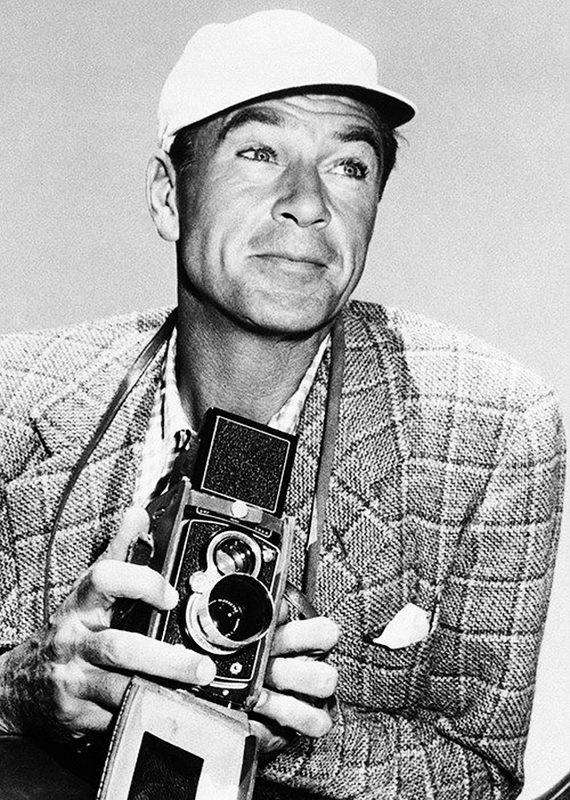 There was no newspaper, no magazine, no photographic book that would not have some Rolleiflex photos in their publications. For decades, Rolleiflex cameras would have a decisive effect on photographic history. Many world-famous images originated from that small piece of fine mechanical art made bij the factory from Franke and Heidecke in Braunschweig, Germany. Rolleiflex is the name of a long-running and diverse line of high-end cameras originally made by the German company Franke & Heidecke, and later Rollei-Werk. The “Rolleiflex” name is most commonly used to refer to Rollei’s premier line of medium format twin lens reflex (TLR) cameras. 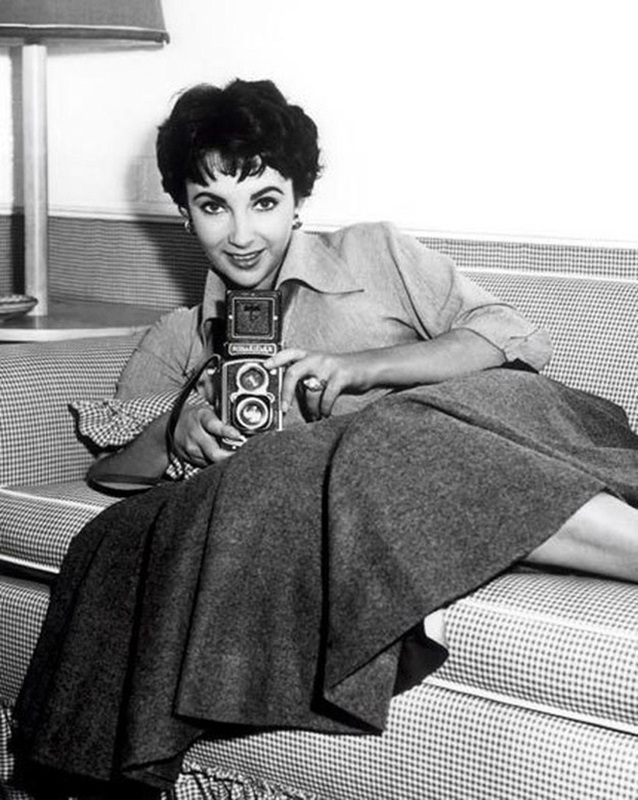 (A companion line intended for amateur photographers, Rolleicord, existed for several decades.) 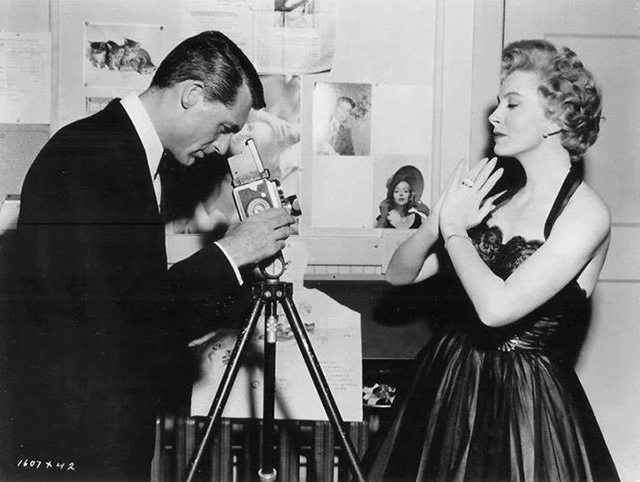 However, a variety of TLRs and SLRs in medium format, and zone focus, and SLR 35 mm, as well as digital formats have also been produced under the Rolleiflex label. 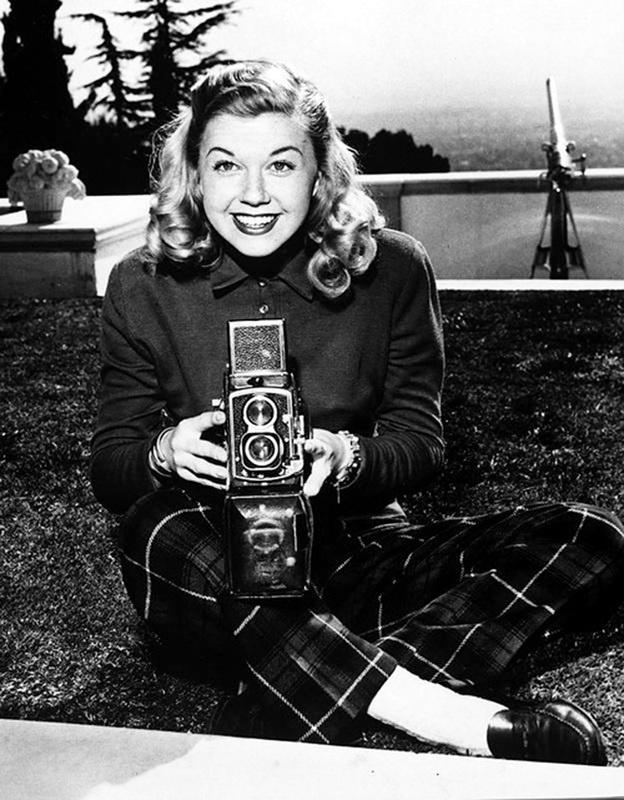 The 120 roll film Rolleiflex series is marketed primarily to professional photographers. Rolleiflex cameras have used film formats 117 (Original Rolleiflex), 120 (Standard, Automat, Letter Models, Rollei-Magic, and T model), and 127 (Baby Rolleiflex). 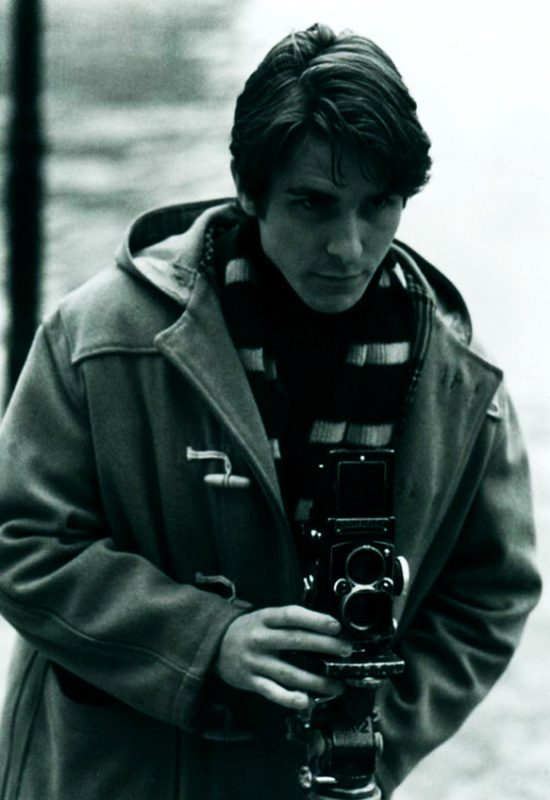 Albeto Amarilla with a Rolleiflex in Imago Mortis, 2009. Alexa Chung and a Rolleiflex – shot for INStyle magazine. 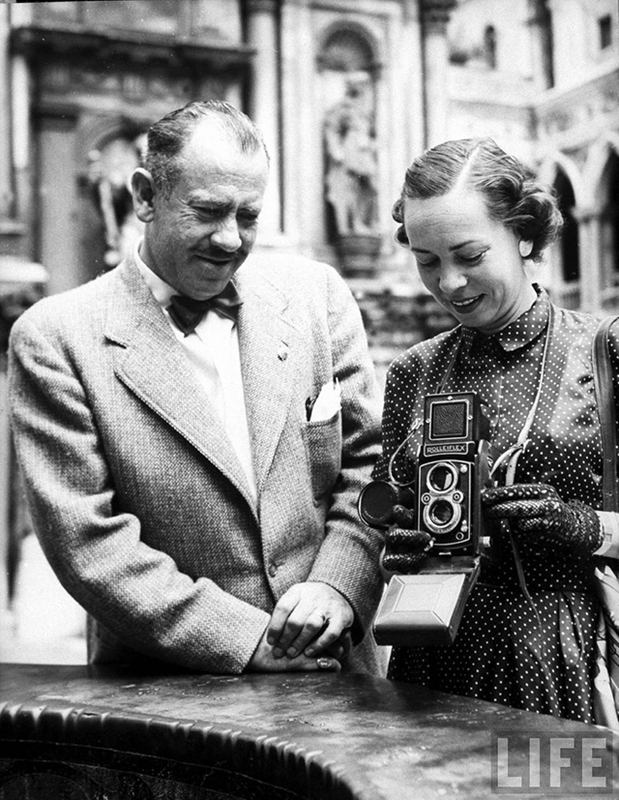 American novelist John Steinbeck standing beside wife, writer Elaine Andersen, who is using Rolleiflex camera around neck in Venice, Italy, 1947. Benedict Cumberbatch with Rolleiflex 3.5F and Misha Handley in Parade’s End. Fred Astaire with a Rolleiflex and Audrey Hepburn in Funny Face, 1957. Nicole Kidman as iconic American photographer Diane Arbus in Fur: An Imaginary Portrait of Diane Arbus, 2006. 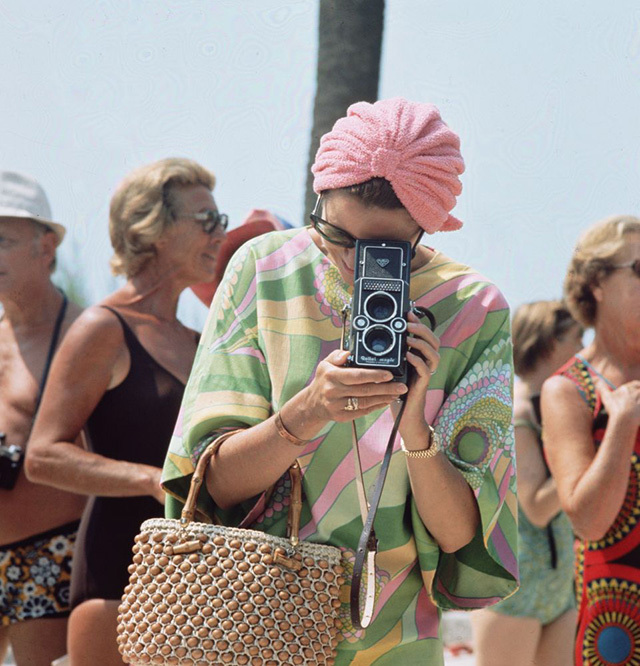 Grace Kelly, Monte Carlo 1972. 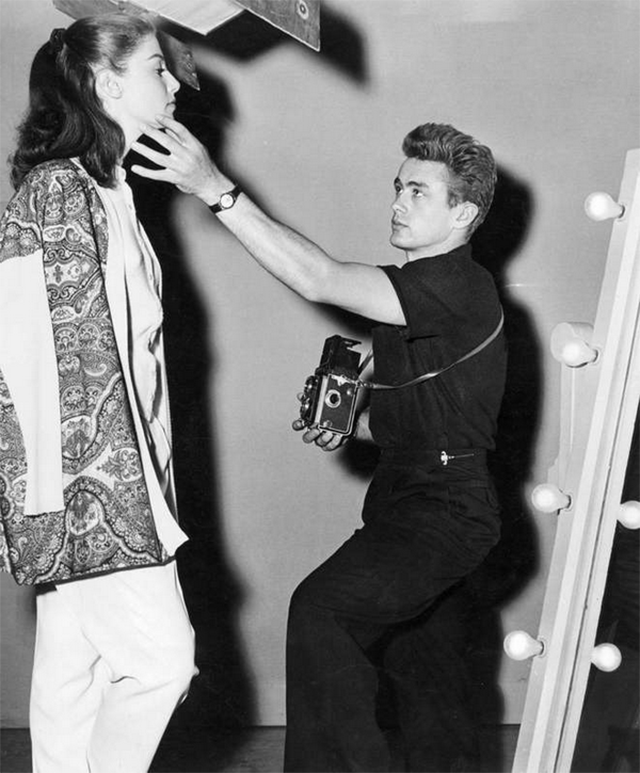 James Dean posing Pier Angeli for a photo with his Rolleiflex in 1954. 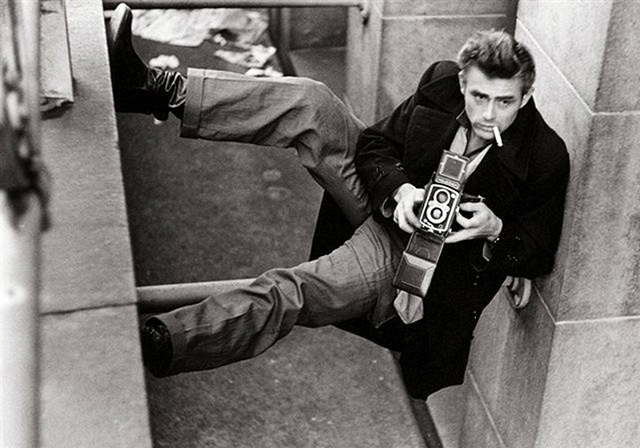 James Dean sitting in window well inside his apartment. New York, 1954. 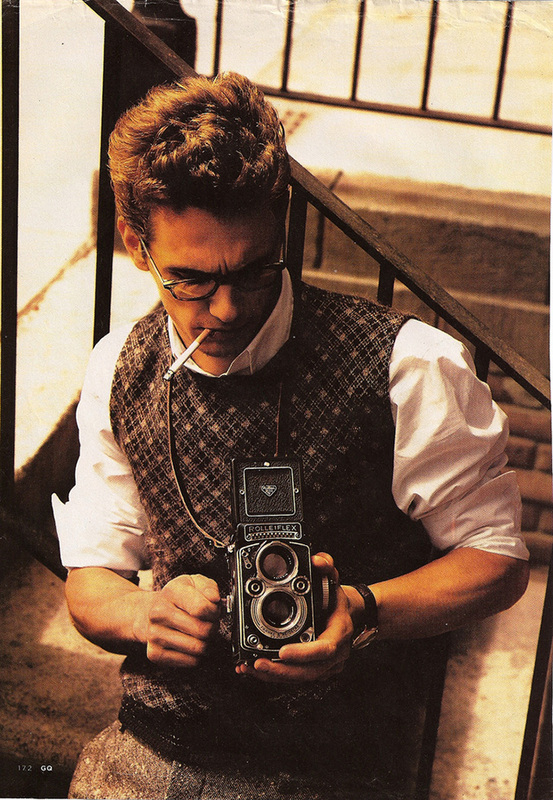 James Franco as James Dean in James Dean, August 2001. 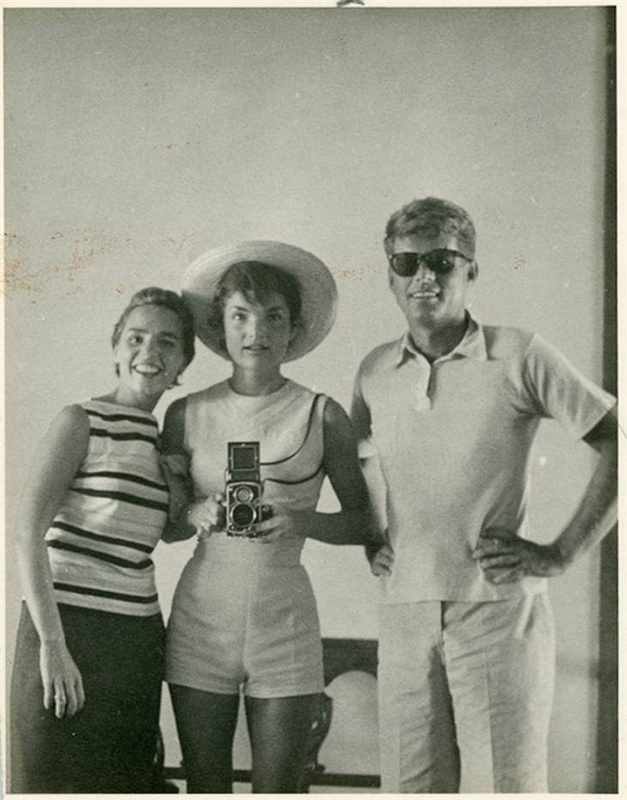 John F. Kennedy is pictured with his wife Jackie and sister-in-law Ethel Kennedy in 1954. Laurence Olivier and Vivien Leigh in Fire Over England, 1937. 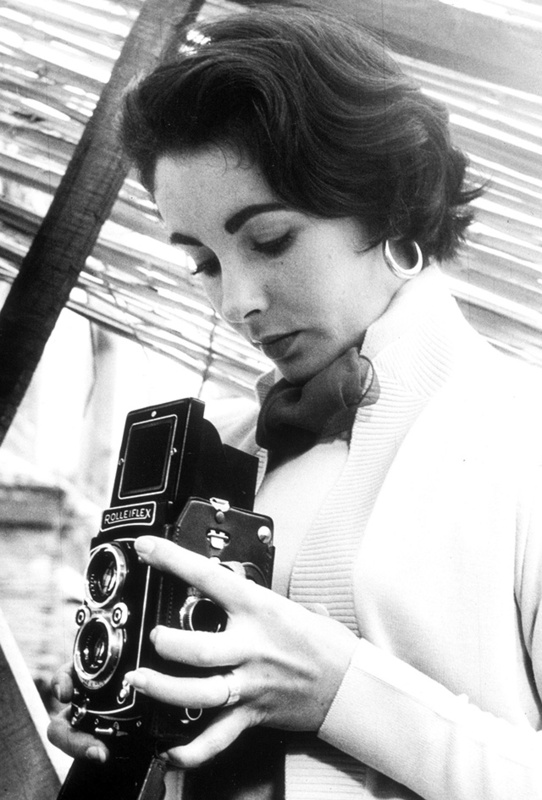 Liz Taylor with a Rolleiflex. 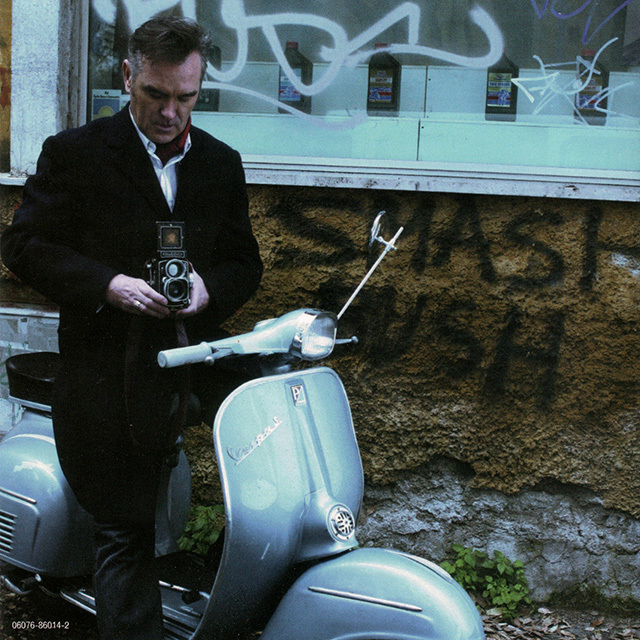 Morrissey with a Rolleiflex on a Vespa. 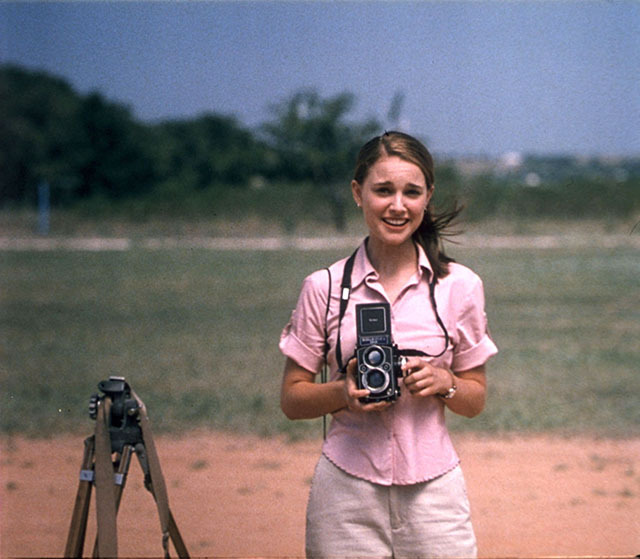 Natalie Portman with a Rolleiflex 2.8GX. 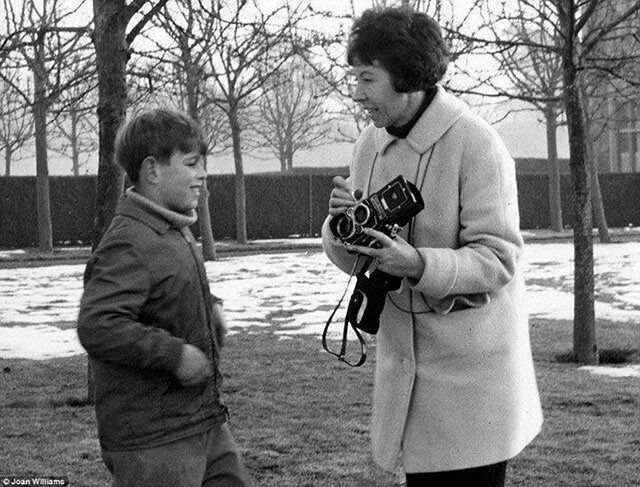 Prince Andrew, aged nine, talks with photographer Joan Williams about her camera in 1969. 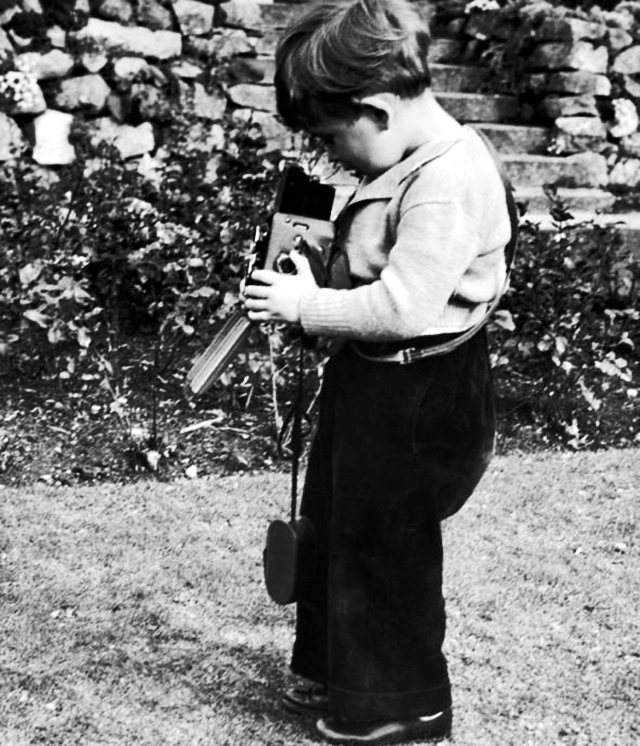 Prince Charles with a Rolleicord in 1952. 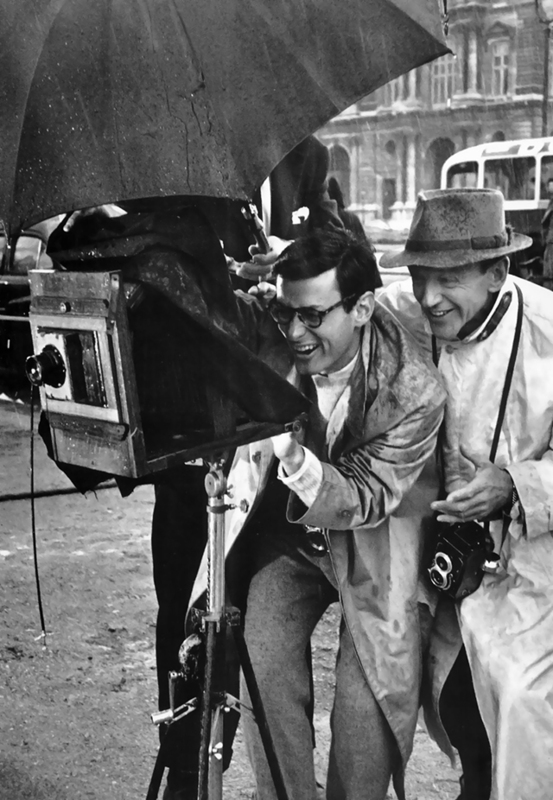 Richard Avedon and Fred Astaire in Paris, 1956. 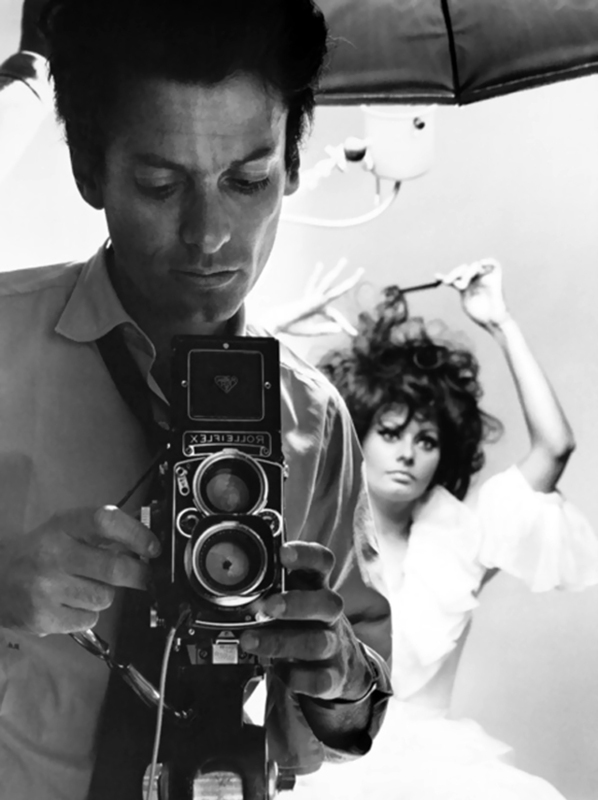 Richard Avedon and Sophia Loren, New York, 1966.